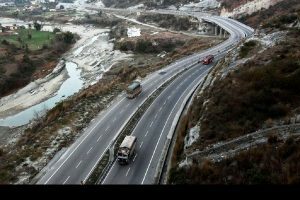 The global warming phenomena of rising temperatures and prolonged dry spells are fuelling forest fires in Himachal Pradesh, resulting in loss of natural wealth worth crores of rupees this year. So far as many as 726 cases of forest fires have been reported from across the state till 24 May. However, the estimates for areas affected by the fires are still being ascertained. “Forest fires have caused damage to the tune of Rs 66.50 lakh in the state during the period from 1 April to 24 May,” Chief Conservator of Forests Alok Nagar told The Statesman. Nagar said the prolonged dry spell in the state coupled with higher temperatures (around 1.5 degree Celsius) in May as compared to last year is leading to fires spreading rapidly in forests. “In addition, the relative humidity in Himachal Pradesh in May this year is hovering at 12-15 per cent which is below normal,” he said. Less rainfall in Himachal over the years is also resulting in the forests becoming more prone to fires. The forest department is engaging the services of the fire department in dousing the flames and fire watchers have also been deployed to keep a watch on such incidents. 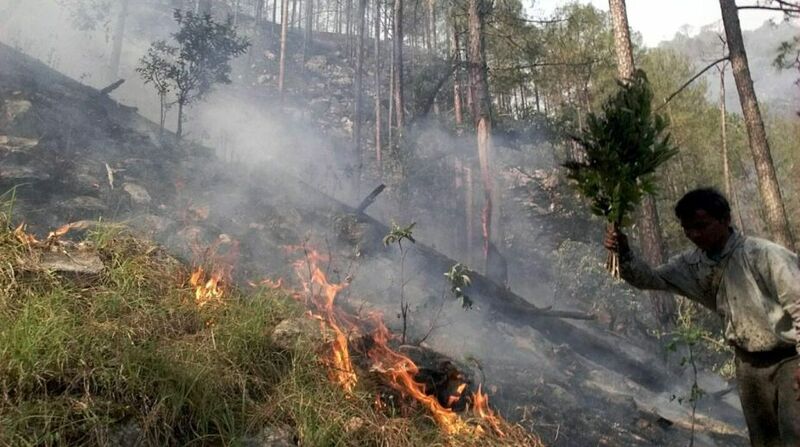 “The forest department is also closely monitoring fires that are raging for more than 24 hours,” Nagar said, adding that Principal Conservator of Forests G S Goraya is keeping a watch on such incidents. Sources said so far flora and fauna in over 4000 hectares of land had been destroyed in fire incidents. The government is also adopting satellite-based fire alert messaging system which has been developed by Forest Survey of India (FSI), for alerts on fire incidents. Most forest fire cases are being reported from Bilaspur, Hamirpur, Kangra, Solan and Sirmaur districts. As per official records, 8,267 sq km area is prone to fires and majority of these forests are of pine trees. These trees shed pine needles that are highly inflammable as they are rich in turpentine oil and to solve the problem, the government is encouraging villagers to collect the needles which are later sold to cement companies. Officials said forest fires are sometimes caused by locals either as mischief or for getting better crop of grass for cattle.The government has reviewed the raging forest fires in the state and has decided to take the help of helicopters in dousing the flames. Forest Minister Govind Singh Thakur recently held a meeting with forest department officials for curbing forest fire incidents at the earliest. He directed officers to seek support from local civil and police administration, officers of fire services, ITBP, SSB and Home Guards for controlling fires. He said the government has arranged helicopters which can be used for dousing flames and asked officials to identify water sources in remote areas in their circles. In 2017-18, 845 forest fire cases were reported while 1832 incidents were reported in 2016-17, causing a loss of over Rs 3.50 crore. Altogether 672 cases were reported in 2015-16 and 725 in 2014-15. The worst scenario was witnessed in 2012-13 when around 1800 cases of forest fires were reported in which forest wealth on 20,763 hectares was destroyed, followed by 2016-17 when 19,535 hectares of land came under such fires.